Any reputable journalist will tell you that when reporting or writing an article, sources are essential. 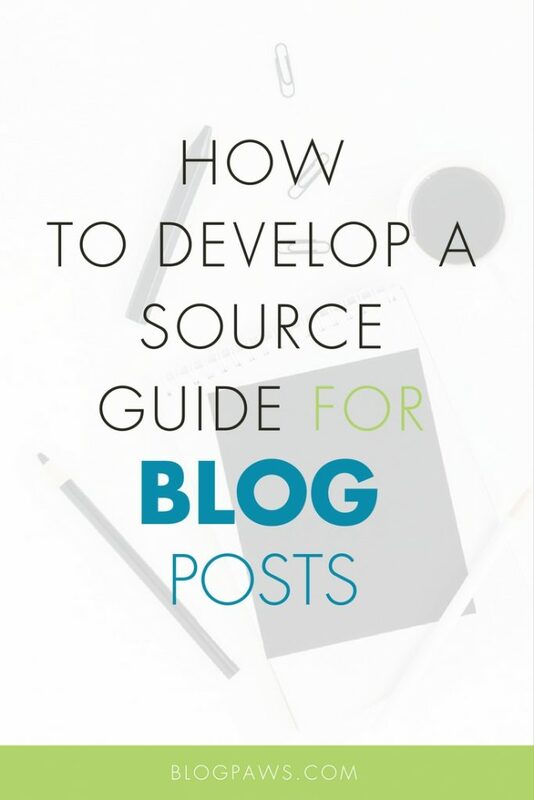 A source guide is one tool in the blogger’s arsenal of must haves, and this post will explain how and why to develop your very own source guide for blog posts. Blogging is not sheer opinion if you want to be considered an expert. I am not an expert in many of the topics on which I blog. I am, however, pretty darned good at finding folks who are experts in their fields. I utilize places like HARO (Help a Reporter Out), message boards, groups on Facebook, in-person networking to exchange business cards, industry-oriented mixers, Twitter, and so on. Twitter Lists: I have several and love them because I can get to know the source, retweet and engage, and add them to my source guide (more about that later). It’s really a preference and I happen to use both and then back up my data monthly using an online backup service along with a hard drive for extra security. 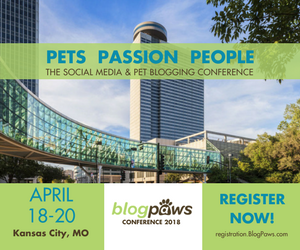 In her post for BlogPaws, writer Reyna Gobel recommends the following tips (and she should know, as she has appeared on CBS.com, in Modern Dog, and on Reuters.com. Don’t be afraid that you’re blog is too small for a professional or association to respond. Use referrals from other sources. Pay attention to how study information is gathered and date available. Read Gobel’s advice article on How to Find Expert Sources for a Blog Post. You can read the entire article on when to source an expert for a blog post. As a dog health and wellness blogger, I am very familiar with using online sources for my blog posts because I use this tactic frequently. Most of us can agree that not all online sources are credible. “Just because one reads it on the Internet does not make it true,” and all that jazz. Is the source credible and well known? What is the background of the source? Is the potential source educated in his or her field of supposed expertise? Does the source provide documentation with links to support their case? Does the source mention that permission must be granted before being cited? If so, get it. We recently discovered that USA Today (provide link) predicts that in 2018, ferrets will rule the Internet. The folks at Hubspot say, “One thing to keep in mind when quoting text from someone else’s website is that many companies have content usage guidelines that will let you know how, or if, they want you to use their content.” Here are the Content Usage Guidelines for Hubspot so you can get a better understanding of what to look for in your sourcing pursuits. Never copy and paste someone’s else whether in print or online. Always cite your source and cite the source in the correct manner. Notice how they linked out to the source but they also adding icing to the online cake but advising their readers to follow the source on Twitter AND they provided a link to the source’s Twitter account. I’ve used this technique and it’s a great way to get on the radar of media, too! Let’s say the source you want to connect with is more than something you read online. Get on the source’s radar and look them up on Twitter, LinkedIn, or even Facebook. I’ve written to potential sources before and prior to doing so, I start getting to know them and their work. For example, if I know I want a source like Dr. Marty Becker to provide me with a quote for a blog post, I know that I have to get creative. I met Dr. Becker at a BlogPaws Conference and we did selfies with my dog. I would write Dr. Becker a friendly email, share the photo, lead with reminding him how we met, and ask if he would be so kind as to contribute a quote for an article. Make the email short and sweet and to the point. I receive hundreds of pitches a month and I love when folks are friendly and direct. Tip: Don’t be spammy and artificial. Pitches that start, “I just read your article on dog winter tips and loved it. Hey would publish something on your blog that I wrote?” No, no, and more no. Even though you are looking for sources, the same online etiquette and common sense holds true. Get connected by being connected. I start looking for sources for blog posts weeks to months in advance. How, you might be wondering, can I do that so far in advance? The beauty of an editorial calendar means I can plan ahead so that I can get sources well in advance of my planned blog content. I use this same technique when writing for other media like magazines and newspapers. Again, there are many ways to set up an editorial calendar. Here’s how to use Trello as an editorial calendar. Think of your source guide as your modern day Rolodex. I keep the title of the contact as one of five or six different options. I do this so when I write a blog post on a topic, I can easy sort and then search for someone that makes sense for the post. A blog post with credible sources adds many layers to your online portfolio. Sources show that you take your work seriously; proves that even if you aren’t an expert on a topic, you are willing to put the time in to find someone who is; and credit with pingbacks to the source are always welcomed. 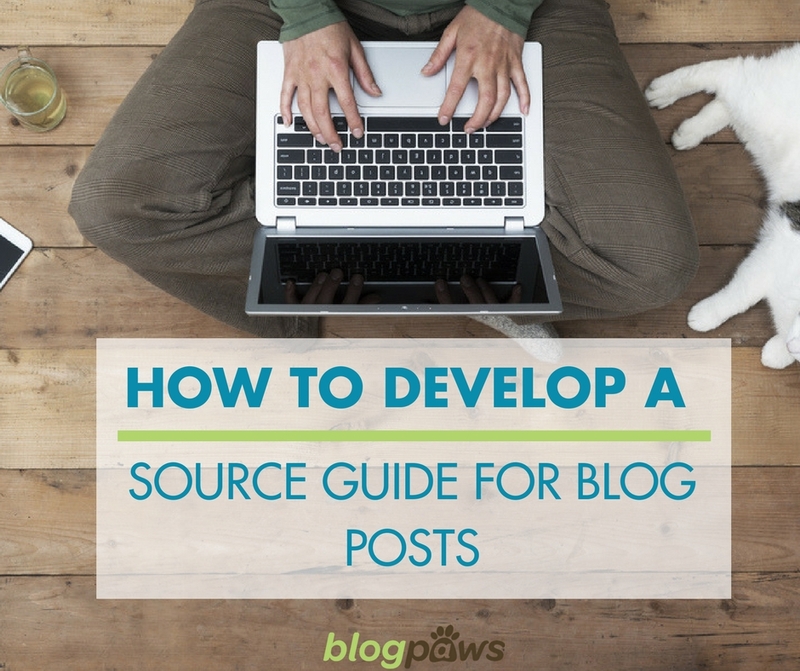 Do you ever use sources in your blog posts? How do you find them? Are you properly citing them? Let us know in the comments below.